The Ribblesdale Cricket League got its season under way in mainly dry, if cool conditions, having put the season back by a week. Read made a positive start to the campaign as they beat Salesbury by three wickets at Ribchester Road. Kyle O’Connor’s side restricted the hosts to a 165-run total from 45 overs with Warren Eastham starring with the ball when taking figures of 4-37. Opener Liam Parkinson hit 30 for the home side, including six boundaries, while South African professional Neil Hornbuckle top-scored with 59, which included five fours and two sixes. The visitors responded slowly when O’Connor conceded his wicket with just four runs on the board, but a 59-run partnership between Joe Marshall and Mohammed Zafran put Read back in to the ascendency. Marshall went on to top score for the victors with 54, including eight fours and a solitary six, as Read did the business with just over nine overs remaining. 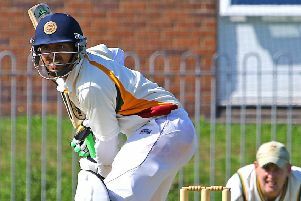 Zafran (28), and an unbeaten knock of 27 from Eastham proved pivotal, while Andrew Rushton saw the game out when 15 not out at the tail end. One of the closest finishes on the day was between Whalley and Ribblesdale Wanderers. Led by captain Richard Lamb with 55, Whalley posted a total of 188 all out. Ribblesdale were always in with a chance with Ryan Canning at the wicket, he made 87 and the Ribblesdale tail just failed to get over the line ending on 176-9. Champions Clitheroe started their defence with a narrow win over Barnoldswick, Clitheroe making 224-8 and Barnoldswick making 217-7 in reply.